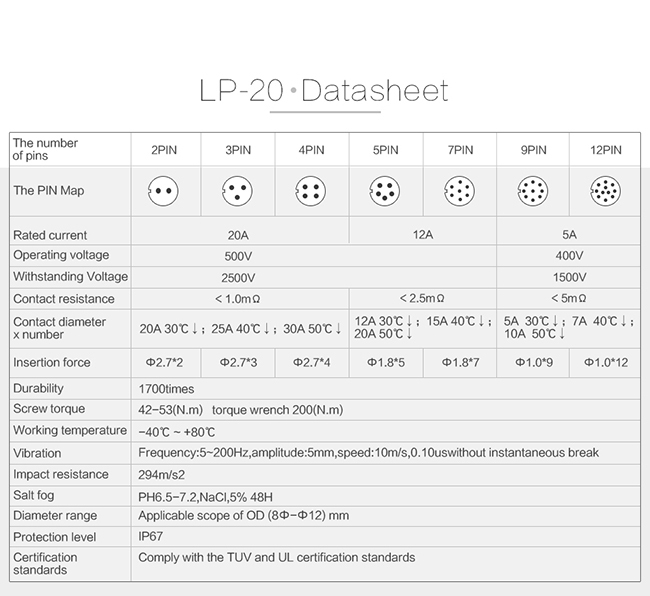 LP-20 series products ,containing models with hole size 21mm to meet different needs of industry and we use nickel -plated and zinc alloy and apply with international environment protection of industrial equiment as well.Current rating 20/12/5A,we have 2/3/4/5/7/9/12pin,cable to cable and cable to panle mount to choose from. 2. quick lock,ensure safe and stable. 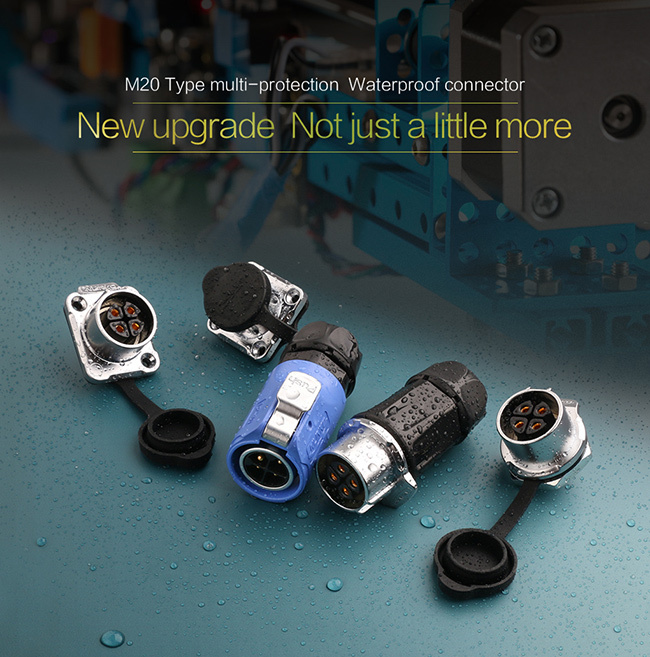 3. varies types for choice,include power or signal,cable to cable or cable to panel mount, meet different industrial demands. 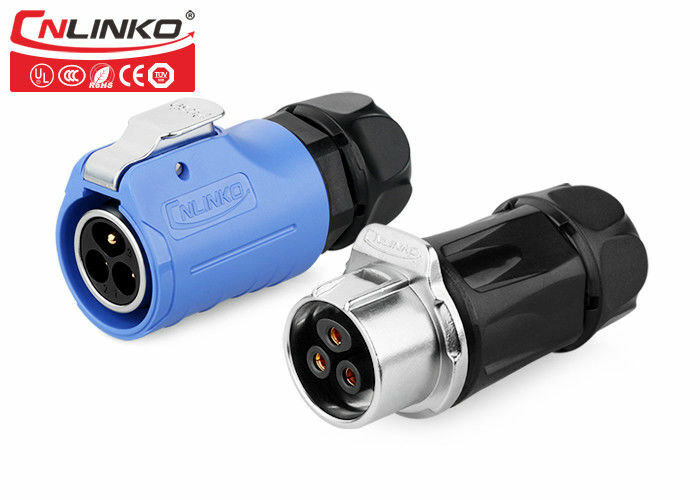 4. stable power and signal transmission,multi-pin power(2-12 pin) with male plug+female socket,femlae plug+male socket. A1: Our product have passed UL,CUL,CCC,CE and ROHS certification. Use PBT material that import from abroad with stable,compression, anti-explosion and anti-deformation; Use Zinc alloy material against high frequency noise and electromagnetic interference Use gold-plated contact with high performance of corrosion resistance and electrical conductivity effectively deal with temperature rise. Q2:Is there cheap shipping cost to import to our country? A2: For small order,express will be best.And for bulk order,sea ship way is best but take much time. For urgent orders,we suggest via air to airport plus our ship partner send to your door. Q3:Can we get support if we have our own market position?